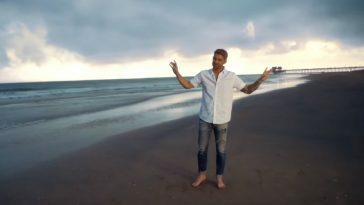 “High Hopes” tops three different radio airplay charts this week. 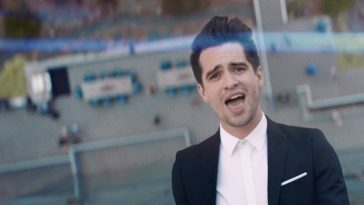 Last week, Panic! 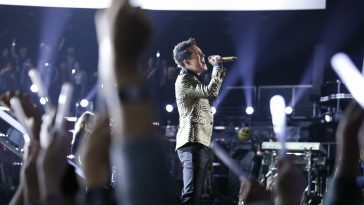 At The Disco’s “High Hopes” simultaneously claimed #1 on the Mediabase hot adult contemporary and alternative charts. It does not simply retain those positions this week. It also reaches #1 at a third format. “High Hopes” rises one place to #1 on the Mediabase pop radio airplay chart. 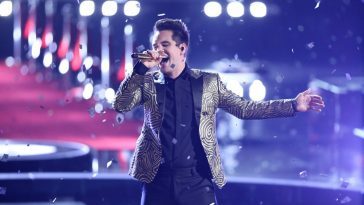 The undeniable radio smash becomes Panic At The Disco’s first #1 at the pop format. — “High Hopes” takes #1 at pop thanks to the ~18,379 spins it received during the December 2-8 tracking period. This week’s count tops last week’s figure by 1,338 plays. 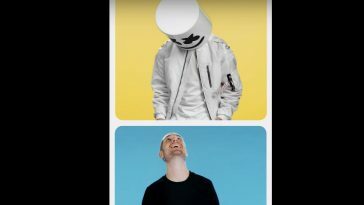 Marshmello & Bastille’s “Happier,” the previous #1 song, falls to #2 with ~17,271 spins (-328). Ariana Grande’s “breathin” holds at #3 with ~16,773 spins (+564), while a play count of ~13,691 (+1,405) lifts Halsey’s “Without Me” two spots to #4. Benny Blanco, Halsey & Khalid’s “Eastside” also rises two places, in its case moving from #7 to #5. It received ~12,825 spins (+703). — “High Hopes” meanwhile spends a second week atop the Hot AC chart. It received ~6,073 tracking week Hot AC spins (+269). 5 Seconds Of Summer’s “Youngblood” holds at #2 with ~5,425 spins (-129), while a spin count of ~5,265 (-105) keeps Maroon 5’s “Girls Like You (featuring Cardi B)” at #3. Up two places, “Happier” earns #4 with ~5,130 spins (+573). Lovelytheband’s “Broken” holds at #5 with ~4,343 plays (-231). 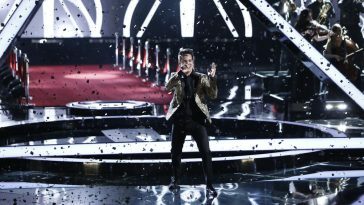 — “High Hopes” concurrently increases its alternative radio reign to five weeks. The smash tops this week’s alternative chart with ~4,011 tracking period plays (+90). 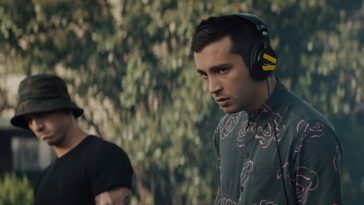 twenty one pilots’ “My Blood” spends another week at #2. It received ~3,415 spins this week (+35). “Happier” stays at #3 with ~3,223 spins (-116), and Mumford & Sons’ “Guiding Light” holds at #4 with ~3,056 (+119). Up two places, Flora Cash’s “You’re Somebody Else” earns #5 with ~2,603 spins (+194).